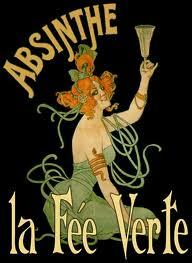 Since 2003, absinthe has been able to be sold in France through a legal loophole if the label states: “Made from absinthe plants”, rather than simply “absinthe”, despite it being the same product. George Rowley, managing director of La Fée, believes the acceptance and endorsement from France marks the return of the absinthe category: “Absinthe is enjoying a renaissance and the ban being lifted in France will only raise its profile. “I am delighted to see France embracing absinthe again and feel proud that a British company has helped influence the return of a national drink to France. To help bring about a lifting of the ban, Le Fée, in association with the Musee de L’Absinthe, presented a dossier of evidence to the French Federation of Spirits Producers to support the case for legalising the spirit in France. “Absinthe has a rich heritage in France that resonates across the globe, capturing the aroma and taste that artists and writers such as Rimbaud, Toulouse-Lautrec and Vincent van Gogh enjoyed at the end of the 19th century,” said Marie Claude Delahaye, director of the Musee de L’Absinthe.